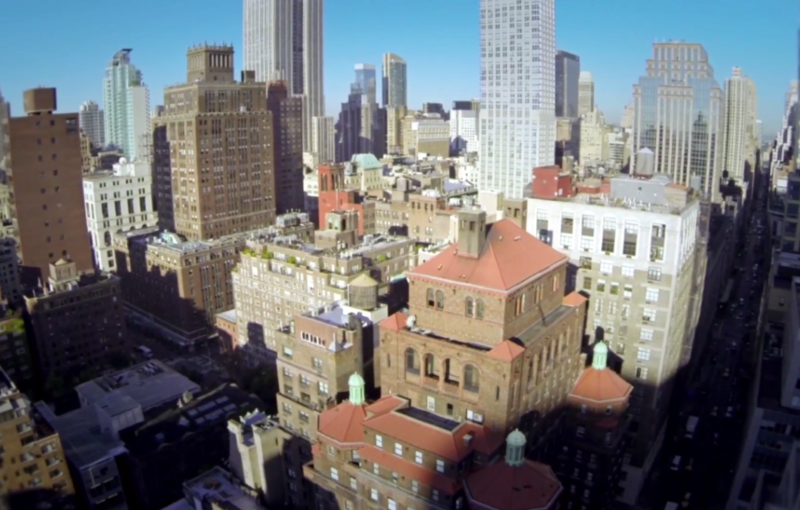 The very first drone film festival takes place in New York City tomorrow night. Here & Now’s tech partner, IEEE Spectrum, sent David Schneider to investigate what all the buzz was about. It shouldn’t take the whirring of a small drone to remind you that many people are awfully leery of these little aerial contraptions, fearing threats to privacy – and also to airliners. But others see great benefits, particularly cinematographers, who are thrilled to make use of the unique perspectives drones can provide. Some of the best examples of what they can achieve will be screened March 6 and 7 at the first-ever “drone film festival” in New York City. The inspiration for the festival came from Randy Scott Slavin, who is the founder and the festival director. Randy put the film online and within the next couple of days, received calls from Fox News, Time magazine, Mashable and Gizmodo. Although filmmakers have long used helicopters for aerial shots, Randy says small drones offer many advantages. “When it comes down to aerial cinematography via helicopter, there’s tons of stories. Every single cinematographer has a story about problems with the helicopter or some kind of crash they know. With a drone, there’s not going to be that,” he says. There are also fiscal benefits to using a drone. “It’s also much less expensive to hire a drone operator,” says Kim Jackson, the drone festival’s producer. So does all this mean that “drone cinematography” could one day become a distinct new art form? Randy and Kim don’t really expect that to happen. But this drone film festival does have a purpose. They hope that the festival sheds a bit of light on the drone pilots. It takes a lot of time to master flying a drone. It’s not just flying over cities and mountains, Randy adds. While those shots are beautiful, these drone cinematographers add a creative flare to their videos by hovering next to a waterfall or flying around inside a cathedral. Even if you miss the Drone Film Festival, Randy and Kim believe that drone cinematography is a growing medium in storytelling, so you can expect to see plenty of awesome drone shots on the silver screen, even if you’re not at this weekend’s event. David Schneider, senior editor at IEEE Spectrum. He tweets @spectrumdave. The Federal Aviation Administration says it has issued the first permit in its history for an unmanned aircraft to fly over U.S. soil. 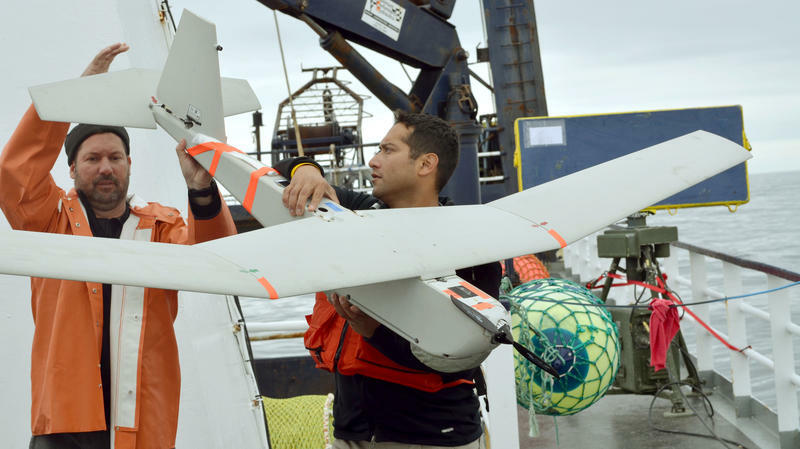 Oil company BP will use a drone from the company AeroVironment to conduct surveys in Alaska. The first drone flights under the recently issued waiver have already taken place, the FAA says. The 86th annual Academy Awards will be handed out Sunday evening, and this year a record 75 countries entered the category of Best Foreign Language Film. Suzette Grillot and Rebecca Cruise discuss each of the five films submitted by directors from Europe, Southeast Asia, and the Middle East.